This Valentine's Day, remember that nothing says "I love you" like sharing a charcoal-filtered cancer stick. Put some flavor in your cig and share it! Introduced in 1963, Lark has never become an American mainstay cigarette brand. Owned by Phillip Morris since 1999, the brand is more popular in Japan, where James Bond actors Timothy Dalton and Roger Moore starred in TV spots in the 1980s. 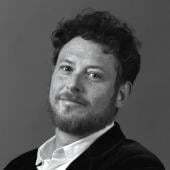 Lark's point of differentiation has historically been that the cigarettes has charcoal granules embedded in the filter, a fact used in marketing to suggest the brand as a healthier alternative. The scientific community never did come to a solid consensus on whether smoking through a charcoal "gas-trap" was better for you—or worse. In this groovy earth-tone and aviator-glasses print ad, also from 1972, Lark leans into its charcoal as a flavor enhancer. "Smoke from the finest tobaccos filtered through a bed of real charcoal to enrich the flavor and soften the taste," reads the fine print. 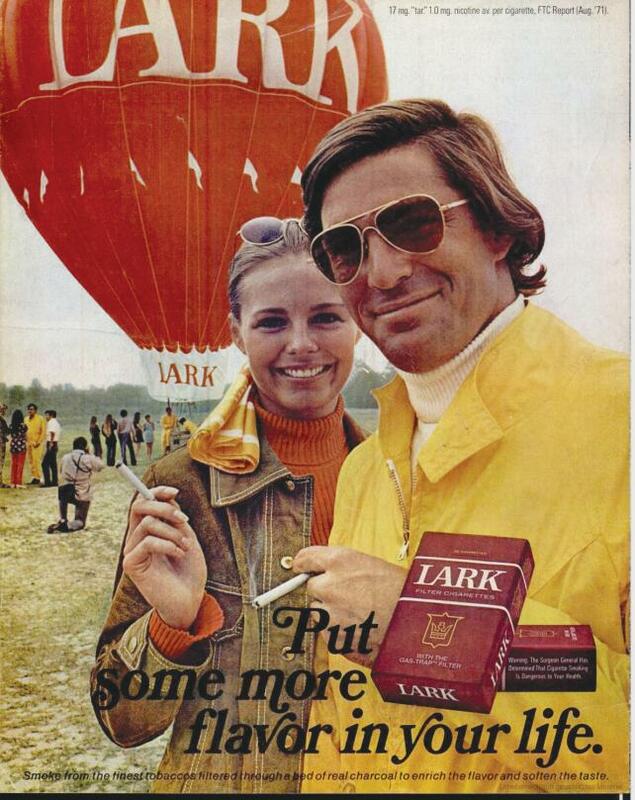 The hot-air balloon with the Lark brand name looming in the background is meant to symbolize the smoothness of the cigs, not the fact that they expedited one's journey to the afterlife.